• They have to speak first and last. • They have to correct what other people say. • They have to find flaws in others’ work. • They have to do most of the work, because others have learned it’s pointless to give the effort. • They must never be caught not knowing something. Each time I think I am – or need to be – the most intelligent, I discover two things: It requires massive effort and results suffer. 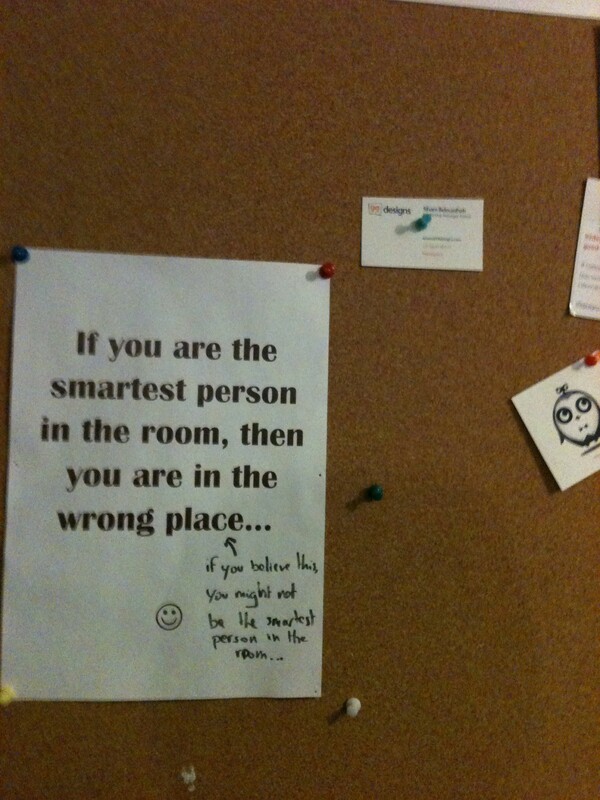 Perhaps the smartest person in the room is the one who has learned they’re not. If this is you, thank you for your leadership.